It hardly needs to be said that Western media is biased against Islam and Muslims: every Muslim who reads the daily newspaper(s) in his city, watches television or listens to the radio is well aware of this. What is generally not realized and therefore needs to be said is that we are not totally helpless against the media’s bias. Often we can do a great deal to counter it by only a little concern and a willingness to translate that concern into no greater effort than composing a few letters and mailing them. This is confirmed by the experiences of many Muslim individuals and organizations. For example, on Oct. 2, 1985, the Christian evangelist Jimmy Swaggart, whose television show appears on hundreds of stations across North America, attacked the Holy Qur’an saying it contained “absurdities, contradictions and outright foolishness”. A concerned Muslim in Ottawa, Canada brought the fact to the attention of the Ottawa Muslim Association (OMA) which took up the matter with Global Television, the network which distributes Jimmy Swaggart’s show. Global president David Mintz wrote to the OMA assuring that his network will not “permit anyone at any time to talk against another person’s religion”. He also enclosed a letter of apology from Jimmy Swaggart in which the TV evangelist promised that such attacks against Islam “will not happen again”. The OMA has not only been able to check, at least for some time, one show’s hateful attacks against Islam; it has also been able to get another show to talk about Islam. On OMA’s suggestion, 100 Huntley Street has decided to air a program on Islam from a Muslim point of view. The program will, if everything goes well, appear sometime before the end of this year. All this took no more effort than exchanging a few letters, an effort far less than that usually needed to achieve anything within our own communities. Another example where a little concern and a little effort on the part of some Muslims produced favorable response from the media was experienced in Montreal, Canada. Recently, a brother wrote to the Montreal Gazette complaining that the news about the murder of Dr. Isma’il al-Faruqi and his family, presumably by Jewish terrorists, was left out by Montreal’s English daily while the same daily is never loathe to publish reports portraying Muslims as terrorists. The Gazette replied to the brother giving an explanation why the story was left out. Not satisfied the brother sought the support of the Muslim Community of Quebec (MCQ). It is to the credit of the MCQ that it came in support of the brother and took up the matter with the Gazette. In due course of time the Gazette published an article entitled “Islamic scholar slain in U.S. was figure in Montreal”, which was written by the paper’s ombudsman and which concluded that since Dr. al-Faruqi had links with Montreal “significant developments of the FBI investigation (of his murder) would be worth following for Montreal readers”. These examples should encourage other Muslim organizations to responsibly counter the media’s bias against Islam and Muslims. To counter the media’s bias it is evidently important to understand it and for this understanding it is best to start with the obvious fact that the Western media is a business, which, like any other business, is run primarily to make money. This means that the media must continuously attract readers, listeners and/or viewers, keep their interest and also attract advertisers. This in turn means that the media must reflect the interests, values and prejudices of its general audience and also the interests of the business. Now there is such a diversity of interests, values and prejudices in the West that normally the media should not be expected to develop a strong and sustained bias against any nation or group of nations or any religion; indeed against nations like India, China, etc., there is no such bias in the Western media. But there are two unique factors that manage to produce a strong and sustained bias against Islam and Muslims. 1) In the Middle Ages Islam presented a tremendous challenge to Christian Europe in terms of power, science and culture. Europe reacted to this challenge with hate. Much of this hate is now gone thanks to the fact that the West got enlightened in many ways and also that the West has become much more powerful than the Muslim world. But some prejudice against Islam and Muslims still lingers in the West. This lingering prejudice is not in itself an active source of media’s bias against us and our religion, but now and then it does get reflected in the media; also it comes in handy whenever someone feels moved enough to malign Islam and Muslims. 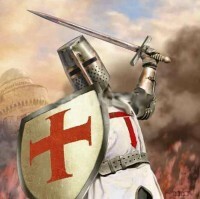 2) The most active cause of the media’s bias against us is provided by another circumstance of the Middle Ages and that is that Palestine, whose Jewish character was destroyed by the Romans many centuries earlier, became part of the Arab and Muslim world, while a great many Jews clung to the dream of once again inhabiting and ruling that land. Ever since they got a foothold in Palestine in the beginning of this century the Jews have used all possible means to first create and then maintain Israel. Among other things, they have found it helpful to use the media to keep a negative image of Islam and Muslims alive and well in the West. But the above two factors do not constitute an insurmountable difficulty. The Western media’s bias is not inevitable. 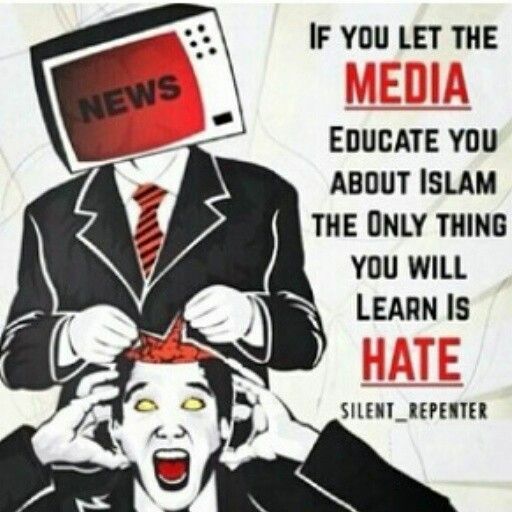 It is not as if the media has a mind and that mind is made up against Islam and Muslims. Rather, the media is open to fresh influences from any interested party, including the Muslims. In fact, even without any effort on the part of the Muslims, there are factors that limit the media’s bias. Thus like any other business, the media is obliged to maintain a measure of credibility. The media has to address human beings who have a need to feel that what they are being told is trustworthy. At the same time, the journalists themselves are human beings with some feelings and moral conscience and therefore for most of them there are limits to which they can go in hiding or distorting facts. Then there is competition within the media business, so that if one newspaper or television station is consistently hiding or distorting a particular set of facts, another newspaper or station can publish those facts or present them in a more plausible light and thus discredit the competitor. For reasons such as these the media is under some demand to be objective and balanced in its reporting. That is why we see that sooner or later facts favorable to Islam and Muslims do get told and articles, reports, etc., supporting the Islamic and Muslim point of view sometimes do get published in the Western media although such facts, articles, reports, etc., get all but lost in the chorus of voices in the media that are biased against us. Such is the situation without any serious effort on the part of Muslims. But as we said earlier, the media is open to influence from us, through which we can reduce the noise of the anti-Islamic and anti-Muslim chorus in the media and increase the pro-Islamic and pro-Muslim material appearing there and thus gradually change the image of Islam in the West.